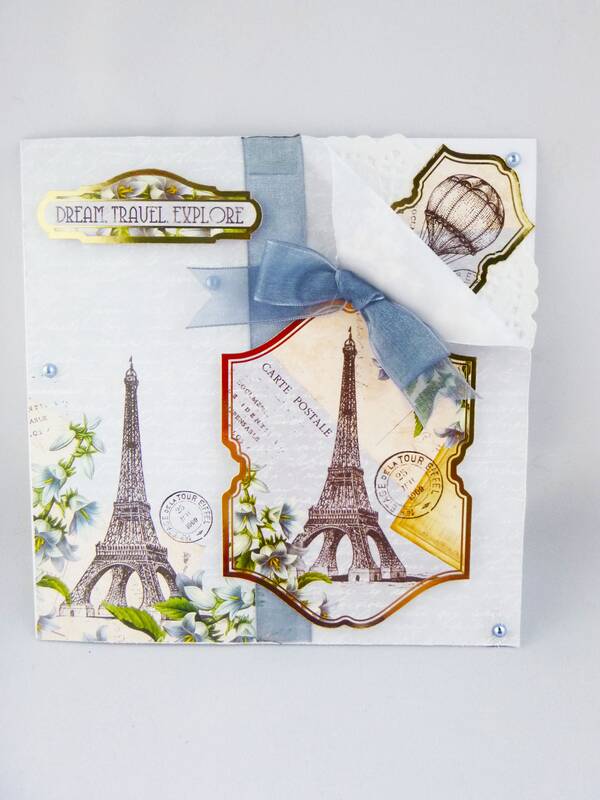 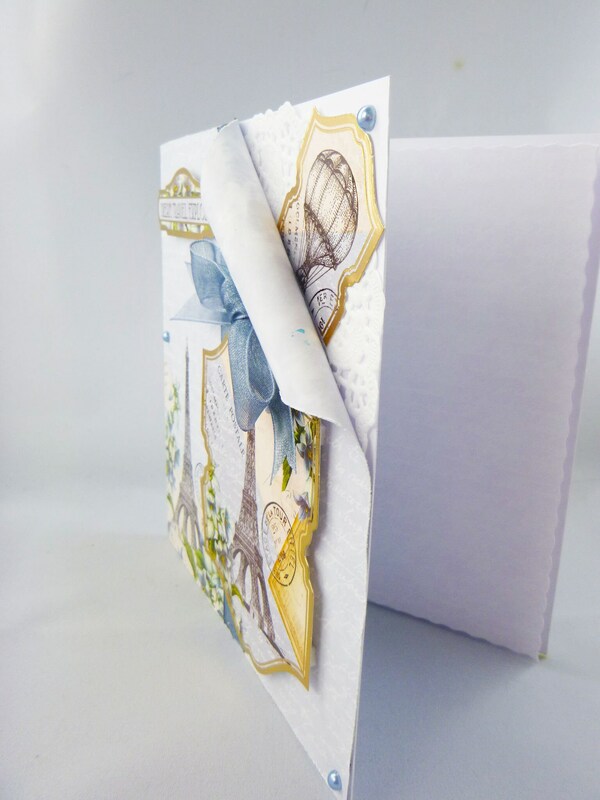 Shabby style card lovely subtle blue and cream shades, made from white base card and layered with blue patterned card with the top right hand corner curled over to reveal a small topper of a hot air balloon. 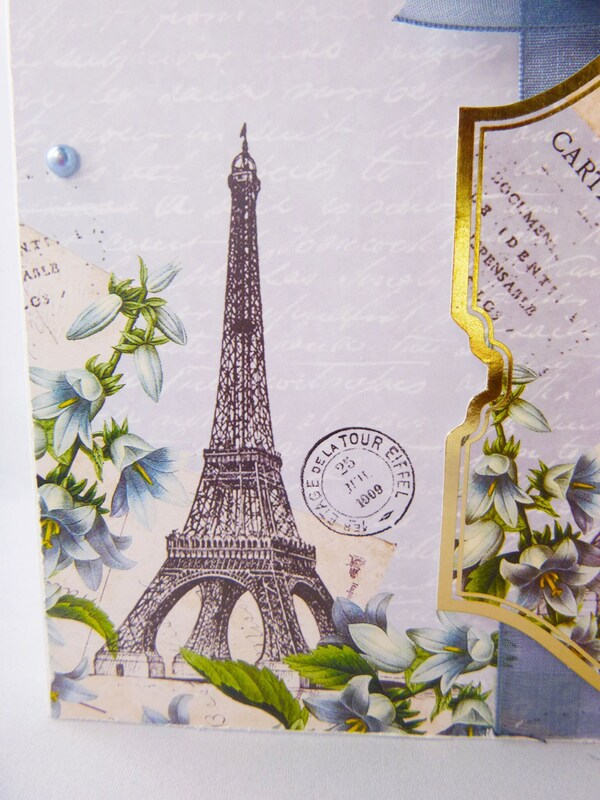 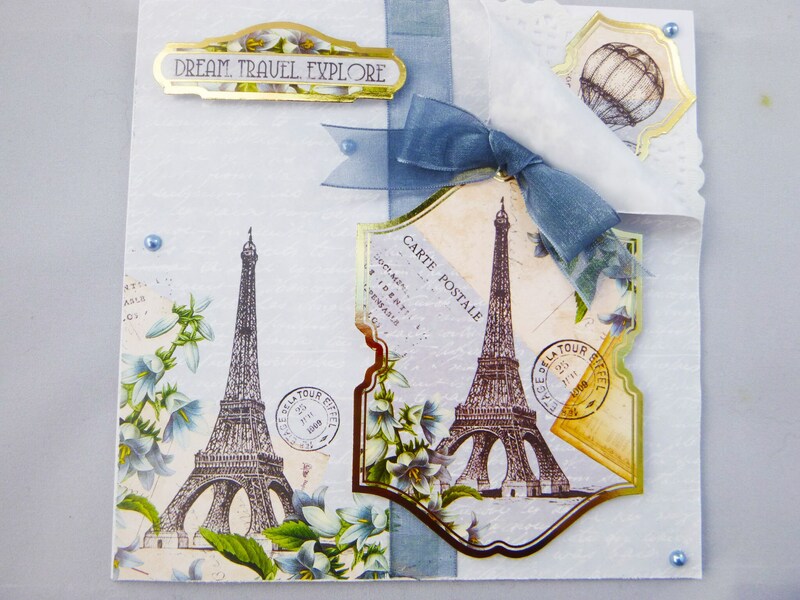 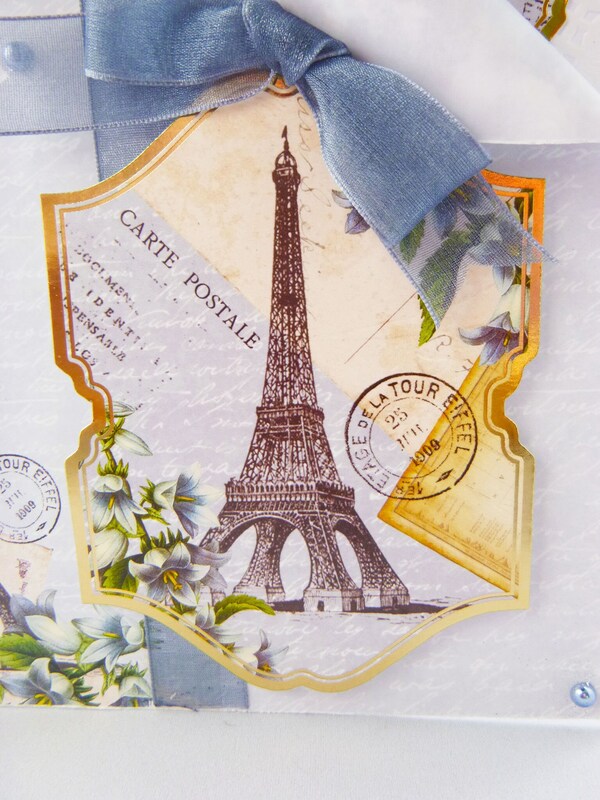 Dark blue organza ribbon down the length of the card with a large shaped topper with a picture of the Eiffel Tower, A large dark blue organza bow is a the top of the large topper. 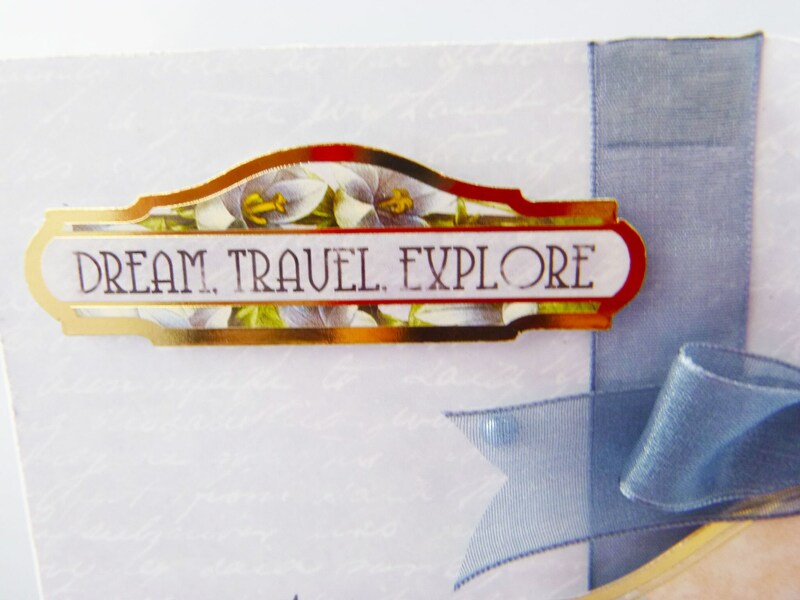 At the top is a sentiment which says,' Dream Travel Explore'. 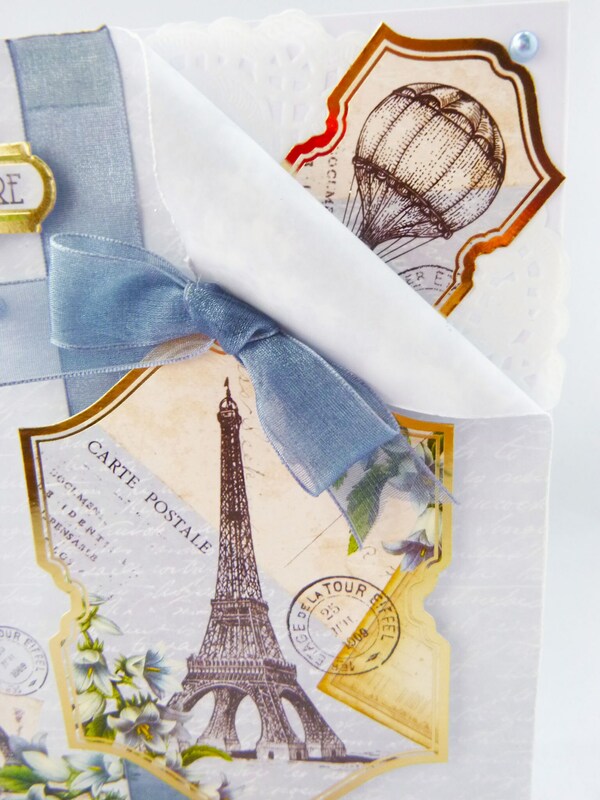 Several Blue pearl embellishments a doted around the card. 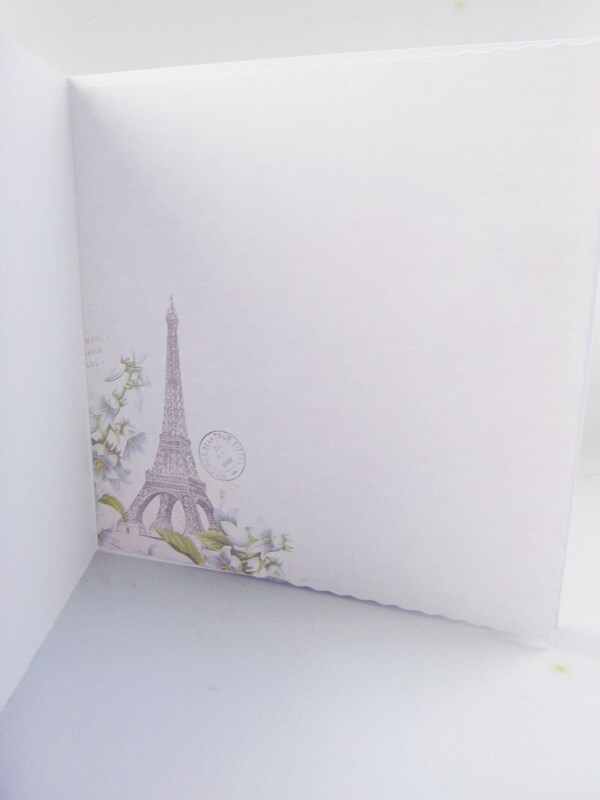 Inside the card is matching insert paper which is left blank for you to write your own personal message.